The actual brand of Fanny Fougeret was only launched in 2013. However, the owner and creator of the same name comes from a long line of wine makers and distillers. Historically the family always sold their eaux-de-vvie to the larger houses. But more recently, they now create a small range of Cognacs to be marketed under the name of Fanny Fougeret. 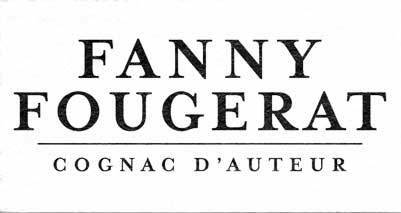 The founder, Fanny Fougeret, is certainly a rarity in the world of Cognac. She's young, and female! Definately something that's not often seen in what is often considered to be not only a man's world, but one in which you might not be taken seriously until you've got the necessary miles under your belt. But Fanny Fougeret is exactly what the industry needs. Young, with all the joie de vivre of life in the 21st century. And let's not forget that she's backed by a long family line of Cognac expertise. This girl is onto something, that's for sure. Her passion is to create Cognacs that epitomize both tradition and contemporary, and it appears that she's achieveing her aims. The small range are all fresh, precise, and truly refined - not to mention beautifully presented. The family estate comprises of 30 hectares of Borderies and Fins Bois vines, all planted with Ugni Blanc grapes. The distillation process takes place in-house, and all their Cognacs are created without additives. The passion of Fanny Fougeret is to create Cognacs that epitomize both tradition and contemporary, and it appears that she's achieving her aims. The small range are all fresh, precise, and truly refined - not to mention beautifully presented. Right now there are four Cognacs within the range, including a delightful limited edition. There is no information about visiting Fanny Fougeret. We suggest you contact the house directly for futher information.